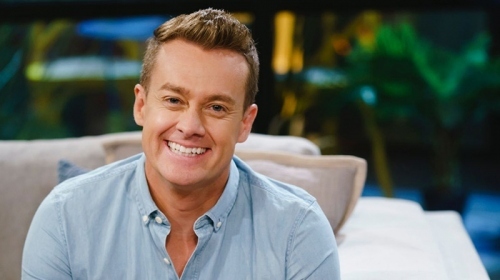 Grant Denyer is a man of many talents… motor-racing driver, Dancing with the Stars champion and television host with the most. Not just content with life in the fast lane, Grant embarked on a career in the media, securing a position at Prime TV in Wagga Wagga as a journalist. In 1999, Grant became a full-time news reporter for Network Ten. Thanks to his racing background and his obvious talent on camera, he was soon given the opportunity to work on the station’s V8 Supercar coverage as a pit reporter. At the start of 2003, Grant joined Sunrise as a weather presenter. During this time, he set five official Guinness World records, including setting the largest tandem bungee jump record by jumping out of a helicopter on Bondi beach. He tried out to be a rugby league cheerleader, traveled in the weather wagon around Australia for an entire year and was the first journalist to report from Innisfail’s devastated cyclone zone in 2006. Grant also hosted shows such as The Guinness Book of Records, Greatest All-time Aussie Bloopers and even commentated at the Sydney Olympic Games in 2000. He surprised many with his dancing skills during the fourth series of Dancing with the Stars, beating world boxing champ Kostya Tszyu to become the series champion. Recognising his extraordinary talent since his dazzling victory on Dancing with the Stars in 2006, Grant went on to host It Takes Two series one in the same year. He also went on to pursue his lifelong dream of becoming a V8 Supercar driver and earned ninth position at his first Bathurst 1000 at Mount Panorama in 2006. 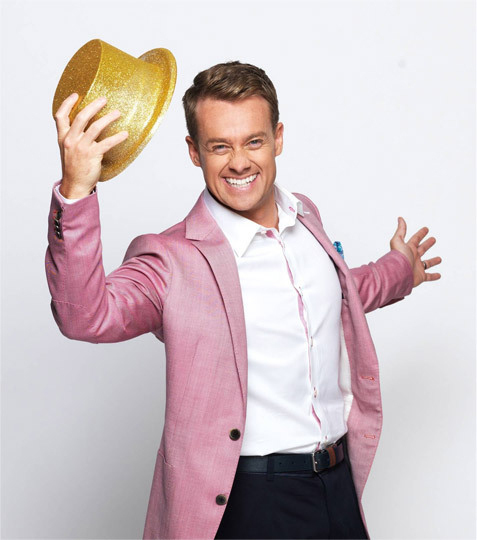 In 2009 Grant became host and face of Ch 7’s now hit series Australia’s Got Talent taking his popularity to an all time high. Grant is an experienced MC and corporate host and popular on the speaking circuit.